Add art and color to your quilt room or any room in your house! Hand-dyed and printed "fabrics" are composed in original guache (opaque watercolor), providing interest and detail to 36 quilt blocks. The name of each quilt block is displayed below each block. 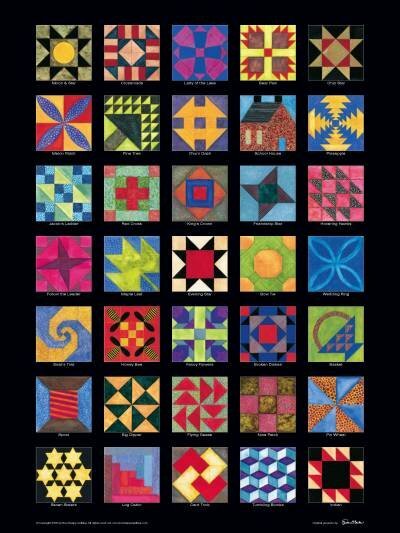 The Quilt Block Sampler poster is printed using museum-quality 80-pound acid free paper and fits an 18" x 24" standard frame (not included). This is a BEE HAPPY QUILTING original.